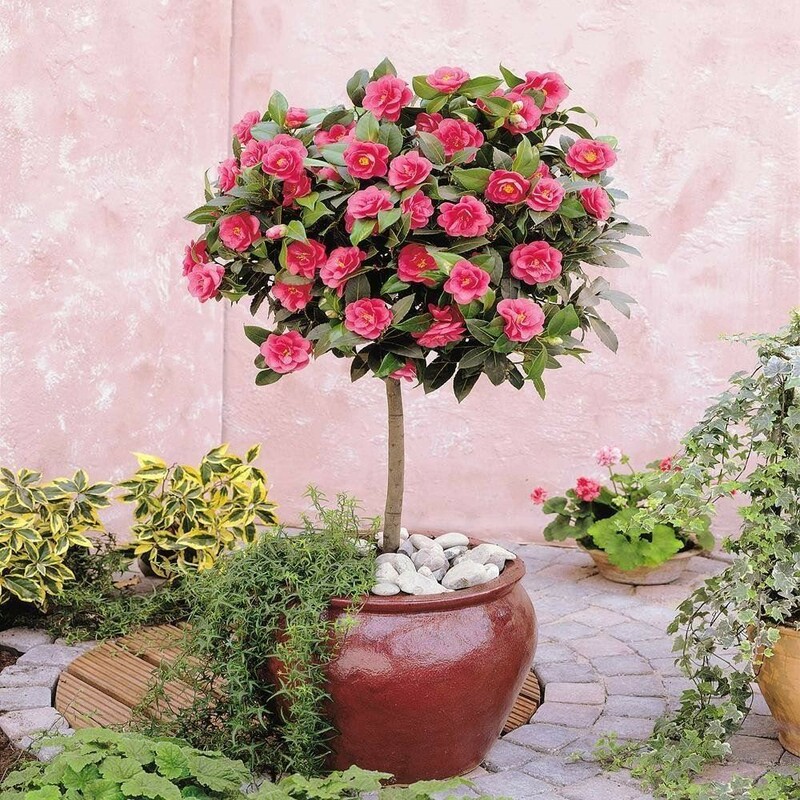 An elegant Pink Flowering Spring Festival Camellia standard will make a magnificent specimen in your garden, adding smart evergreen structure and form all year round. Fully hardy it is perfect for patio planters, or in garden borders. Perhaps try a couple of them in large tub either side of an entrance or path where their stunning spring blooms can be enjoyed every year. Supplied as a standard tree with a clear stem topped by foliage and flowers/buds in season, growing in approx. 3 litre containers, with an overall height on around 100cms, the head will increase in size year on year to provide a lovely display every year.